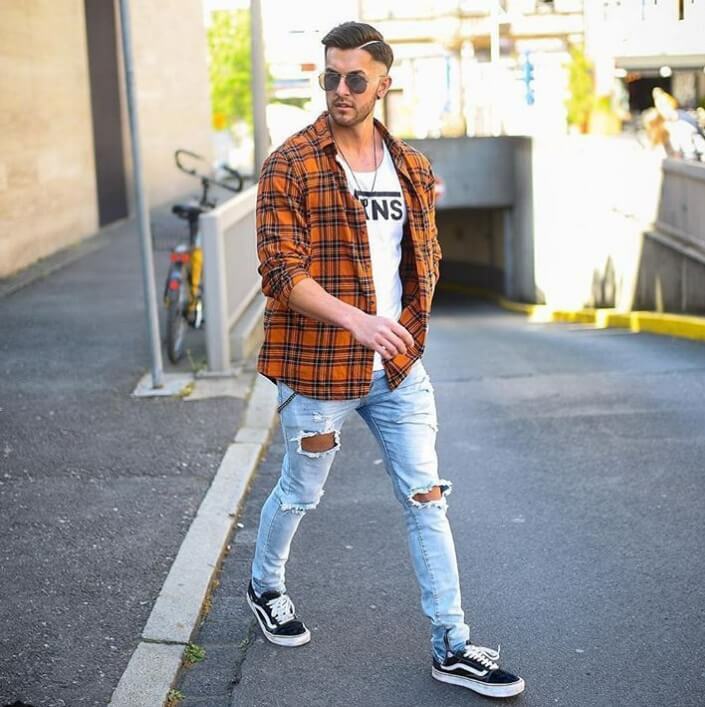 In the denim jeans there are lots of colors variation options available in the market you can choose as per your choice and body and skin tone. 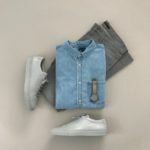 Today I am going to post the light blue jeans combination option which you can go with both color combination like you can wear light colors and dark colors combination out with light blue jeans. 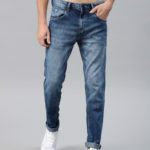 Light blue jeans you can wear on white shirt & t-shirt mostly but I will post the T-shirt combination style with Light blue jeans and with a shirt I will post in next week so be connect with us. 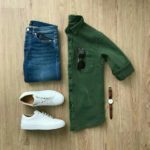 If you have no plan or not any mood to wear white t-shirt and shirts over light blue jeans you can try out below outfit ideas. Checked pattern design shirts are trends nowadays, checked design shirts have two lines and a big checked shirts pattern always. You can try out the red and navy blue checked shirt colors pattern style as well. And wear a white plain t-shirt or any logo print t-shirt which looks absolutely unique and stylish. Try out the Lee brand, Wrangle, Being human brand denim jeans these jeans are long life material denim fabric. I love to wear the levis brand denim jeans always with t-shirts. 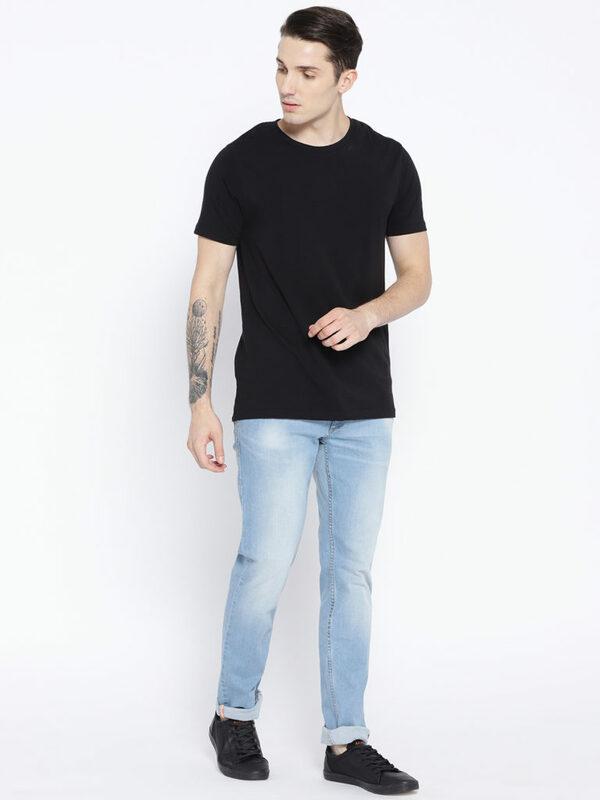 Black t-shirts are always demanding in men fashion because of men’s loves the black colors in 90% of men’s use of black color on clothes outfits, cars or phones etc. 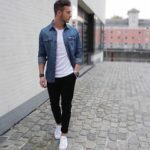 You can wear the light blue jean with black plain or printed t-shirt combination which is best style option for college fashion, party or traveling. 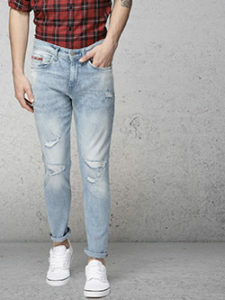 A skin fit style light blue jeans with you can wear the black, blue and white sneakers shoes wear. If you wish to wear a simple small logo t-shirt you can wear with it. If you want to wear light blue jeans at office time or in office meeting time you can also try out with blazer style. 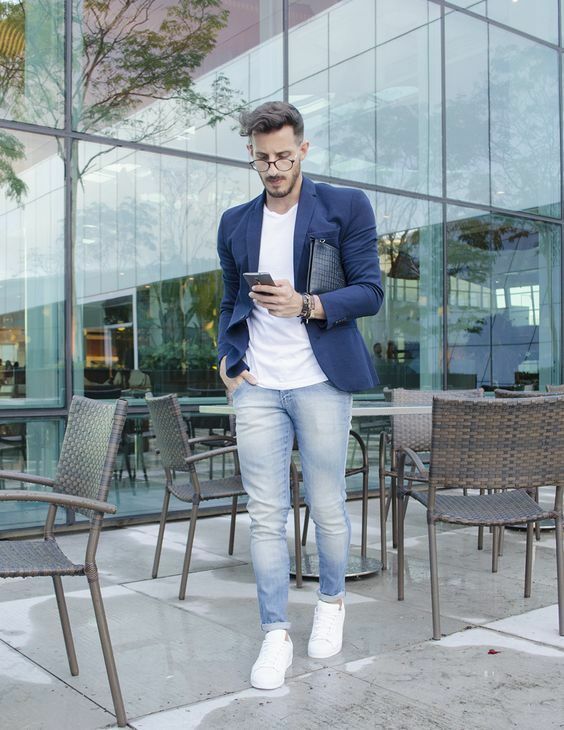 You can find the contrast color of the blazer on light blue jeans like Royal blue, Blue, or Black blazer wear on light blue jean with sneakers you can try the white only t-shirt. White t-shirts will combination with light blue denim jeans is the best office casual combination style. If you have to think wear denim jeans or casual outfits at an office this is the best combination option who are looking for office outfits. Many men also get confuse same like girls what to wear on weekend. 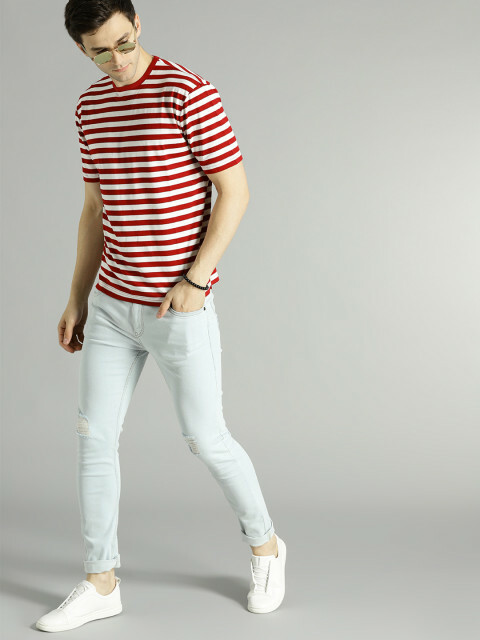 With light blue jeans, you can try out the Full Sleeves t-shirts also with a light color of a combination like white khaki, light sky blue color or white as usual. Khaki color t-shirt is the best combination of light blue jeans. As for footwear style, you can try out the brown or black sneakers or loafers shoes. The dark color of shoes always looks stylish on the light colors of the combination outfits style. Polo t-shirts are a hot favorite outfit in men’s especially on weekend, vacation time or beach time and of-course on golf course time. Golf game become popular in Indian culture many men play in the weekend. Try out the lining polo t-shirt with light blue jeans you can try out also plain polo t-shirt as well. 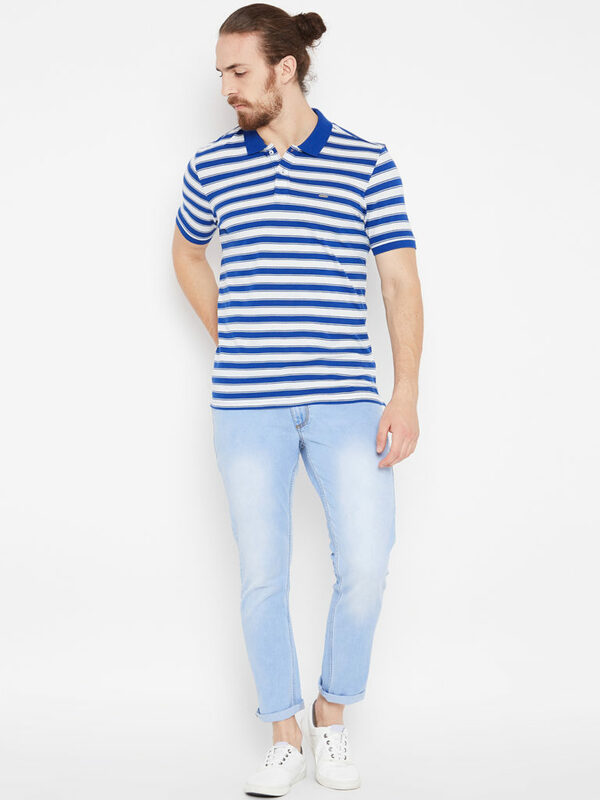 Lining polo t-shirt is the simple and attractive t-shirt you will look charmed in the polo t-shirt if you wear with the correct combination of denim jeans and light blue jeans are the best one with little dark lines t-shirt style. 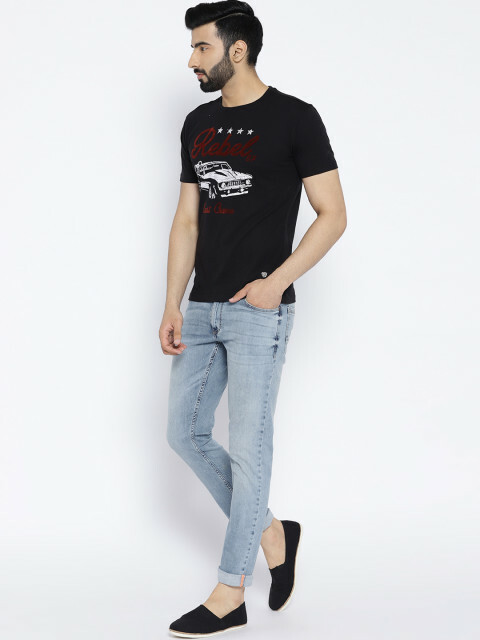 Mostly teenager and college boys are wearing the graphics and quoted t-shirts on weekdays, they are trying out this light wash blue jeans with graphic black t-shirts. 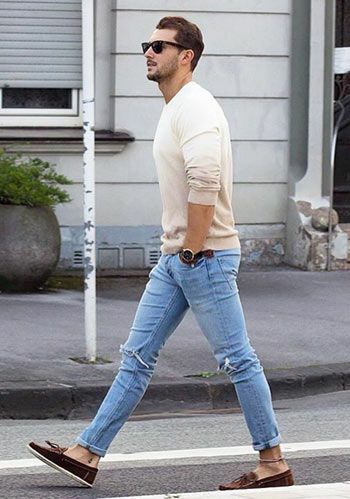 Skinny light blue washed jeans combination with a graphic t-shirt choose only a few graphics over t-shirt not so much printed it looks very weird style. Real men’s people wear only the stylish clothes not weird one. So, I highly suggest going with a little printed graphic t-shirt for looks smart and stylish. After the black color navy blue color is mostly worn in the men’s fashion style. Navy blue attract and eye-catchy color fairy skin people. 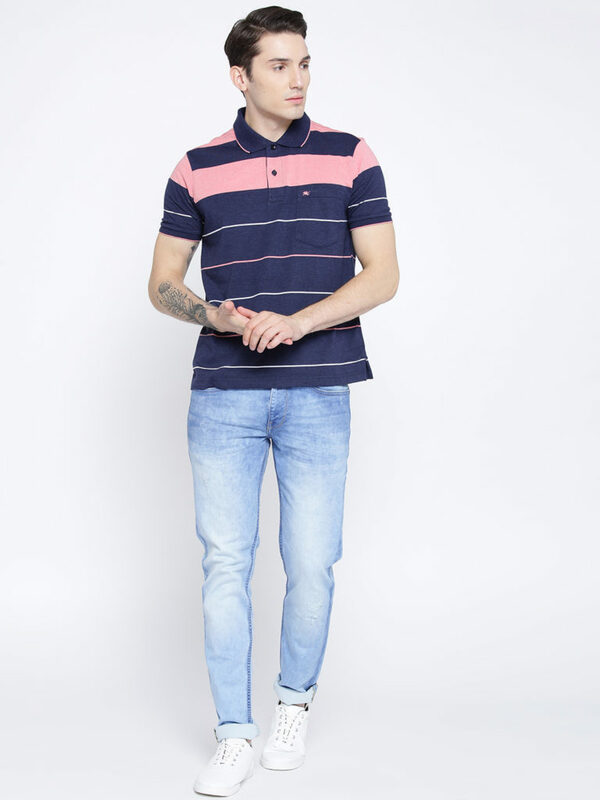 With light blue jeans, you can try out the full navy blue color t-shirt or this type of color semi polo t-shirt with the pink combination of colors. Horizontal pink lines are looks amazing on the chest and white lines are at chest to bottom will looks stylish. We talked lots about T-shirts above but why not shirt. A shirt is also the best option to wear over the light blue denim jeans. 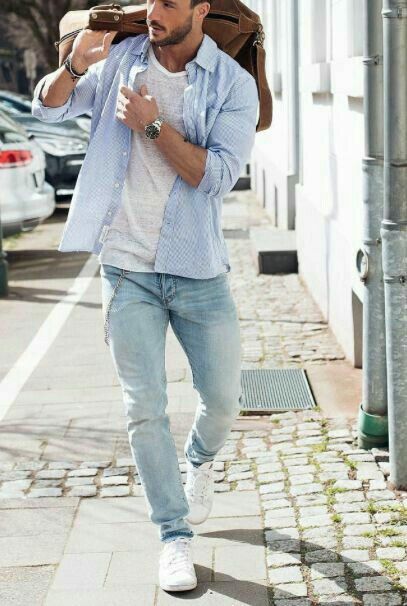 Many men’s are required a shirt combination with light blue jeans. Below model, images are the best example who has requirement of shirt combination option.